← What’s one more sock? I often find this time of year to be bittersweet. As “the most wonderful time of the year” comes to a close and 2014 flips to 2015, I’m looking ahead to the coming year with excitement, ready for a fresh start. However, I often find that the holidays and end of year rituals leave me with a lingering feeling of disappointment and regret. I feel tempted to “should” on myself, looking back on things I did (or didn’t do) and dwelling on them. When I start down this road, it doesn’t take long for the shiny new year to feel heavy and weighed down. So. I am here today to make my peace with 2014. I won’t regale you with the list of concerns that have crossed my path in the last 6 weeks since I managed to publish a blog post (yes, that’s one of them!). I suspect you have your own list, and although we could have a grand time comparing our shortcomings and disappointments of the last 365 days, giving more weight to that conversation isn’t the game I’m up to for 2015. In my experience, as humans we get what we create with our language. By declaring ourselves at peace with something, we start to create a world and an experience of life that is in alignment with that declaration. Sometimes things pop up that are counter to what we are declaring…like those little voices in our heads that feed our self-doubt and worries. When these doubts creep in, there are several methods I use to clear out the cobwebs and get back into the mindset of possibility I practice cultivating. These include: reaching out to a friend who I know listens to me as the amazing woman I am; creating a gratitude list of 5 things I’m grateful for that day (I share this with a long-distance friend; it helps us stay connected); journaling or blogging; meditating; exercising (yoga and running are my two favorite empowering activities). I have so much to be grateful and excited for in 2015, as I’m embarking on a journey to be a health and wellness coach. This will be the fulfillment of a dream I’ve had for many years. I’ll be sharing more about my journey in future blog posts, but before I begin that chapter, it’s time to close the previous one. Thank you for the experiences you provided. Those challenges you threw at me that made me feel a bit crazy? Yeah, I can see your point now. I strengthened muscles and reached out to my community for support, and I’m a stronger woman because of it. I appreciate the many joyful moments: playful times with my kids, comfortable intimacy with my husband, quiet cuddling with my cat, and many opportunities to connect and celebrate with friends and family. I choose to enter 2015 trusting that I am exactly where I need to be, and understanding that it is the experiences of 2014, the ups, downs, disappointments and delights, that have prepared me for what awaits in the coming year. I honor this year in the journey of my life, and I declare it complete and perfect, exactly as it was. 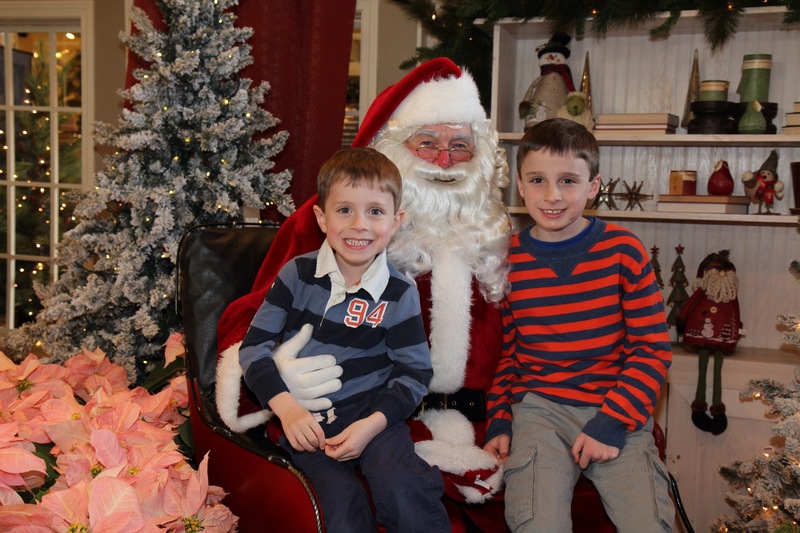 Annual visit with Santa, December 2014. 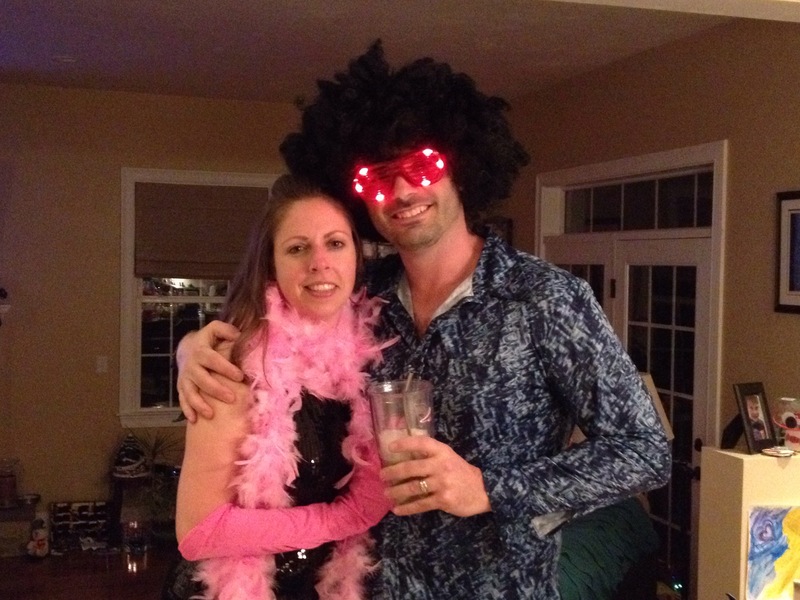 Celebrating my 17th New Year’s Eve with this man…so many shenanigans (and wigs) along the way! This entry was posted in Reflections, Wellness and tagged Completion, Health & Wellness, New Year, Peace. Bookmark the permalink. You have such a gift of writing! Can’t wait to follow your journey in the new year! Thank you for all the kind words of support ladies!